A little backstory. After a couple years of ownership, we sold our family’s hybrid camper after realizing just how horribly they are built. 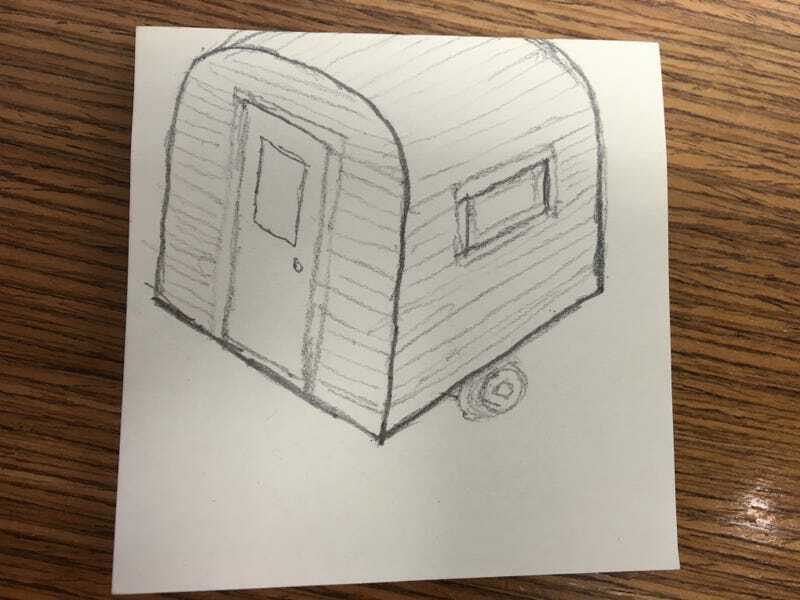 My long term plan is to get an enclosed aluminum cargo trailer, something around the size of 7x16 feet, and convert that into a camper. We have the money to do that, but my wife wants me to remodel our kitchen instead ... which if I’m honest is a much better use of our money. I’d like to do a small scale version to take to races in the meantime, but I’ve been shocked to see that even a decent 6x12 trailer is still well over $2k. I just want something that I can build a couple bunks in, have room for a cassette toilet, and MAYBE room to put my scooter in. Scrolling through trailer ads last night, I had this idea. What if I buy a snowmobile trailer, something like this one that’s about 8'x8', and build the rest of the camper myself on that platform? On a scale of “Are you really asking us this question?” to “Have you lost your cotton-pickin’ mind!? !” ... how bad of an idea is this?